The Eastman Presents Series brings Kurosawa & Chatterjee, performing Friday, February 8 at 7:30 p.m., in Kilbourn Hall at the Eastman School of Music. Yumi Kurosawa is one of today’s most exciting soloists on Japan’s national instrument, Koto. Her solo repertoire includes classical Japanese compositions, as well as her own innovative and enchanting original works. 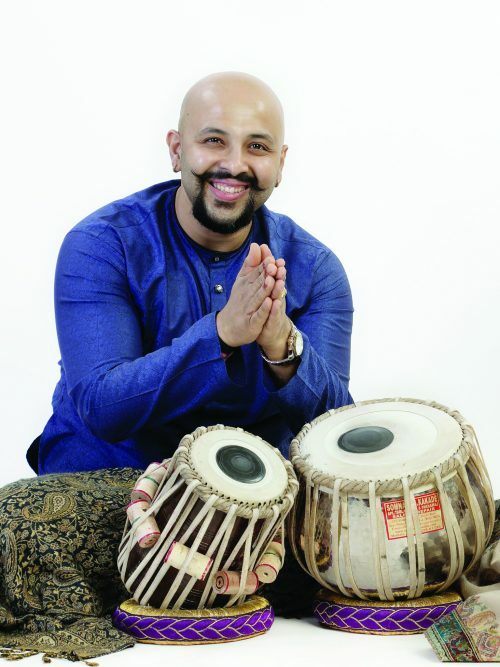 This special collaborative program pairs her with tabla player Anubrata Chatterjee, son of the world-renowned tabla master Anindo Chatterjee. Born and raised in Japan, Yumi Kurosawa began her study of the Koto when she was three. Her extensive performances in Japan include appearances at Suntory Hall, Tokyo, and on NHK Broadcast TV. 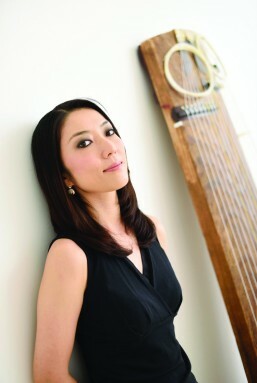 Kurosawa has toured in Canada, Germany, Malaysia, Russia, and the United States, making her Carnegie Hall debut in 2006. In 2011 she was principal soloist in Daron Hagen’s Koto Concerto, Genji, which premiered in Stratford-upon-Avon, UK with Orchestra of the Swan. In 2013, Kurosawa was principal soloist for the premiere of The Memory Stone at the Houston Grand Opera. In 2015 she premiered a ballet, Tsuru, commissioned by Houston Ballet and Asia Society Texas, as a soloist and composer. Anubrata Chatterjee was nurtured from a very tender age to be a tabla player. He had the rare fortune of being the youngest and the last “Ganda-Bandh” disciple of the great guru, Padmabhushan – Deshkottam Jnan Prakash Ghosh, in 1992. Subsequently, Anubrata continued his training under the gifted tutelage of his father, Pt. Anindo Chatterjee. Anubrata has proved himself, as a soloist and as an accompanist, by his consummate tabla renditions. He has also given numerous memorable duet performances with his father. Taking the ‘parampara’ forward, he has built upon his father’s style and expanded his own repertoire to display an amalgamation of power, grace, skill, and superb tonal clarity. Internationally, he marked his debut with a solo performance at the BBC World Radio, in the year 1991. Since then he has performed all over the world, including the United Kingdom, United States, Greece, Jordan, Egypt, Croatia, Israel, Germany, France, Scotland, Switzerland, Indonesia, West Indies, Seychelles, Singapore, Malaysia, Oman, Qatar, Bangladesh, Japan, and the United Arab Emirates. The concert is generously funded, and part of, the Barbara B. Smith World Music Series.